Post S3 install thread because KiwiFail | Page 7 | Mazdaspeeds.org, The New Era in Mazdaspeed, CX-7 & Ecoboost Forums! Discussion in 'Mazdaspeed 3 Build Diaries' started by KiwiFlavor, Apr 25, 2017. Nice buddy!! 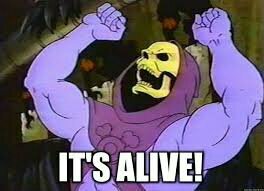 Must feel good to have it alive. Yessir! It was such a good feeling! I slept so good last night! Now that's the bees knees item 9 right there. Car is all buttoned up! Sorry not sorry for the potato pic lol! 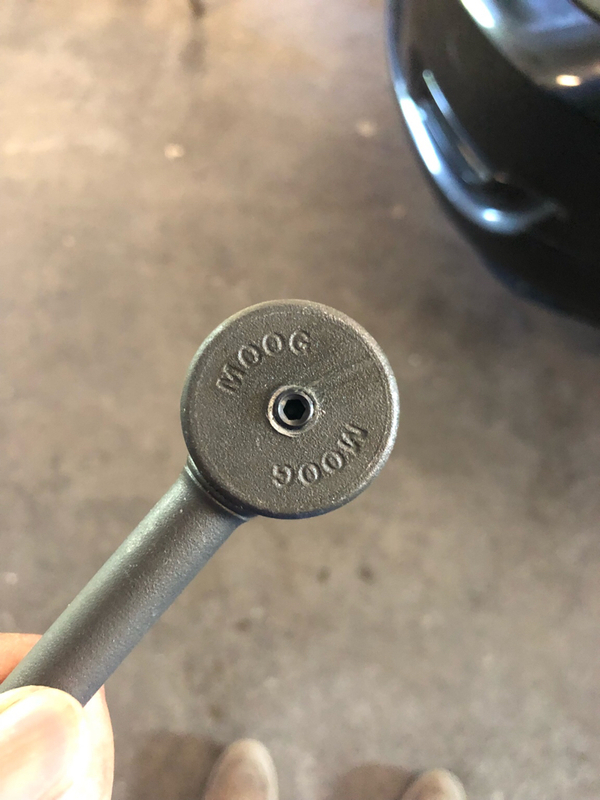 And these damn Moog endlinks... I’m stopping by Ace today either at lunch or otw home get some plug or a small bolt to replace the grease fitting. Moog end links were the death of me! I'll be going OEM next time. I now understand why some guys just keep OEM and replace them more frequently. What is the big hubbub about these moog front endlinks? I'd keep oem rears, aftermarket are not really worth the cost or benefit. I have Moog front and rear; no issues. For some reason the moogs that are on my gen2 are fine. But the zerk fitting rub the inner wall on my gen1. I found a pair of socket set screws to replace them tho. They are 1/4-28 x 1/4”. Couldnt find anything shorter at Ace. 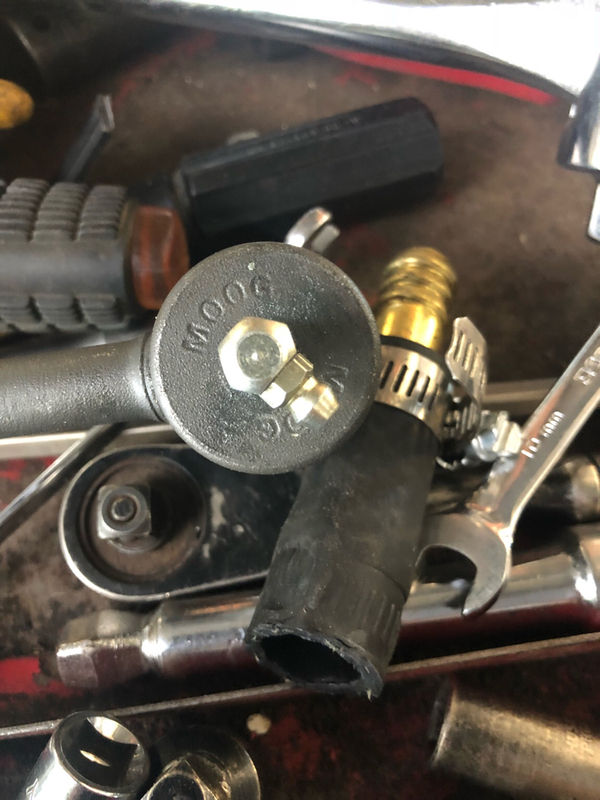 Get some vice grips and remove that zerk fitting, find some small rubber plug for it and leave the fitting off until you need to grease them later on. Done deal. Drove it to work about a week and a half ago and found there was a fuel leak and coolant leak. I had to borrow baking soda, a jug of water and my co-worker let me borrow a fire extinguisher from work to take home lol. Coolant leak was at one of the hoses that goes from the coolant reservoir to the water housing. so far the car's been driven and in the process of break in for 117 miles approximately. Changed my oil at 50 miles, and will do another one at 150 miles. It pulls and drives nicely as far as I can tell. Can't wait for break in to be done and then tune for some powahhh!! I'm not saying I can see the future, but look back to my June 16th post... Glad you didn't burst into flames. Why you put that evil on me??? Good day yesterday. Fixed my coolant leak and got on the dyno and sent it! Justin doing his magic and ended up with 371/360 on 20 psi and, if I heard right, 9* of timing. Solid number just on 93 gas. I think I just found my future wife. 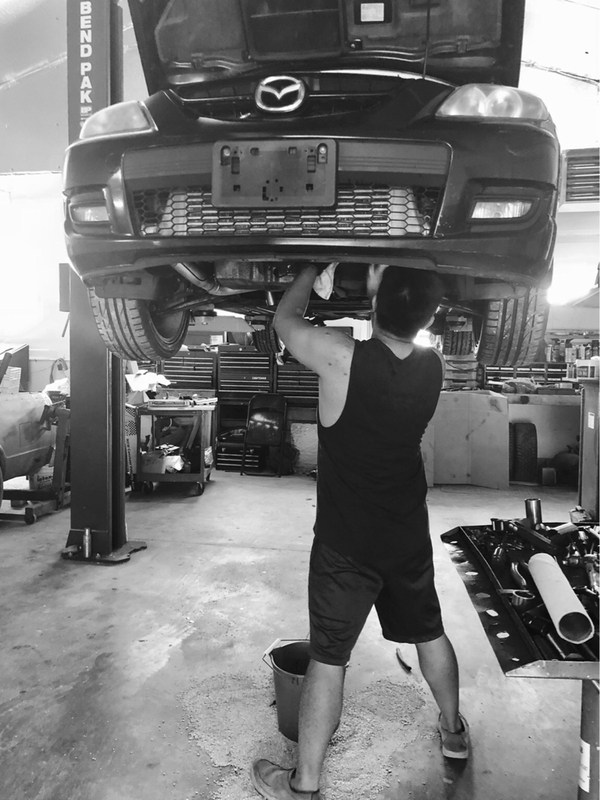 This girl I’ve been hanging out with helped me work on the car before I went to Freektune shop and took this pic.